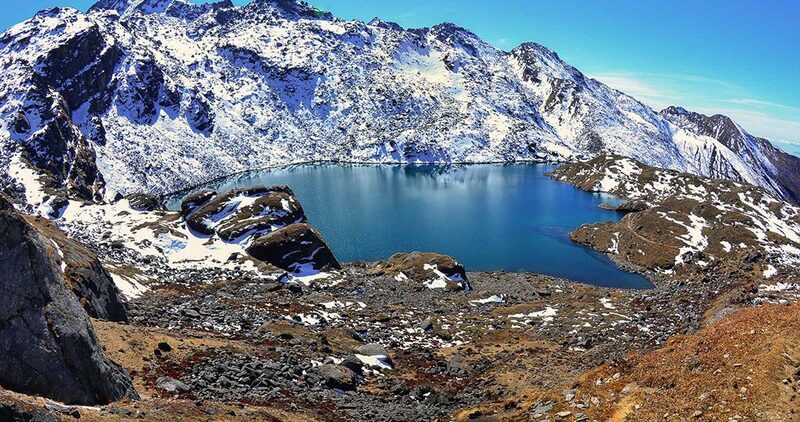 Gosaikunda trek is a scenic walk on the Langtang region. It is a 7-8 hour drive away from Kathmandu. The trek is quite affordable in terms of cost as well. The Gosaikunda trek cost is suitable for people of all backgrounds. You do not have to spend high amounts on permits nor the accommodation. Given below is a detailed account of the cost associated with the different aspects of the trek. You need 2 different permits to do this trek. Both of these are a must for your Gosaikunda Trek. 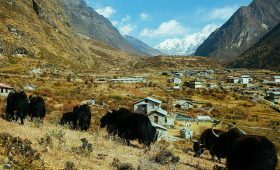 Langtang National Park Entry Permit: US$ 30 (NPR 3000) per person. You will trek through this beautiful park for your Gosaikunda trek. Hence, you need this permit to enter the area. There are different checkpoints where you have to show your permits. If found without one, you may have to return back or buy the permits at a higher price. You can get both these permits at Nepal Tourism Board, Kathmandu before you go on your trek. Else, you can buy these permits at the trail-head which will cost you a little more. Your guide or porter or any local person do not need these permits. Update: You do not need a TIMS card to trek in the region. A Langtang Local Area Permit costing USD 20 per person works on its behalf. You can start your Gosaikunda trek from different points like from Syabrubesi or Thulo Barkhu or Sunderijal or Dhunche. Thulo Barkhu: Thulo Barkhu is around 58 km or 36.04 miles from and to Kathmandu. Syabrubesi: Syabrubesi is around 80 km or 50 miles from and to Kathmandu. Sunderijal: This is the nearest starting or ending point to Kathmandu at only 27 km or 16.78 miles. There are two options to get to the first 3 locations from and to Kathmandu: For Sunderijal, there are more options. You can take a local bus to Dhunche. This same bus goes to the other 2 starting points- Syabrubesi and Thulo Barkhu. The local jeeps operating on this route try to fit between 6-7 people on the vehicle. You can hire a private jeep for your transportation needs. These vehicles usually fit 4-6 people. You can share the ride with others so you can reduce the per head cost. Hiring a guide or porter has its own perks. They can help improve your trekking experience. Hiring a guide usually costs about US$ 25-30 per day. Hiring a porter cost around US$15 – $20 per day. The choice of accommodation, meals, and drinks is quite wide in the capital city of Kathmandu. You can choose to stay in basic lodges in dormitories. Else you can choose from a wide range of 3-star, 4-star, and 5-star hotels. You can also choose luxury resorts and boutiques. Hence, the range of cost of accommodation begins at a low US$ 7 per night to a whopping US$ 500 per night. For meals, you have similar ranges. Hence, you can have budget meals of US$3-5 per meal to fancy meals of US$10-30 per meal. For drinks, the cost for bottled water is around US$ 2-1.This is true for most soft drinks and tea. For coffee, it costs around US$ 4-3. This is true for most flavored hot and cold drinks. During your actual trek, you will stay in local tea houses. These only provide basic facilities. These tea houses will also provide your meals for the duration of your actual trek. The accommodation and meal cost of the tea houses is around US$ 40-70 per person. This cost is for the entire, regular 5-7 day Gosaikunda trek. The cost of accommodation is usually US$ 5-7 per night if you eat all your meals at the same tea house. The cost of meals is around US$1-2 for breakfast and US$ 3-7 for other meals. The tea houses provide basic rooms with a bed, blanket, mattress, and pillow. You will have to use the communal bathrooms. This can either be squat style or regular bathrooms. For hot showers, you will have to pay an extra US$ 2. The itinerary or duration of your trek also affects the total cost of any trek including this one. The Gosaikunda Trek can take anywhere between 5-24 days. Religious ceremonies: Gosaikunda is a sacred pilgrimage site for Hindus and Buddhists. If you hold or partake in religious ceremonies here, your duration of the trek can increase. Some popular trekking destinations and trails are close to this trek. You can choose to add or skip some or all. Some popular trekking destinations near this trek are Langtang valley trek, Helambu trek, Ganesh Himal trek. 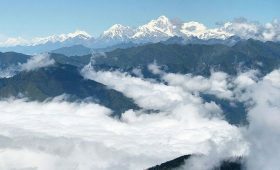 You can also include the popular vantage point of Nagarkot to this trek along with Chisapani. Start and Endpoint: There are different points where you can begin your actual trek on foot for Gosaikunda trek. You can add a day or two depending on where you choose to start or end your trek. Rest stops: The number of days you choose to relax can vary from person to person, group to group. Depending on these, your duration can change. Each additional day includes an increase in everyday expense. This can include your guide/porter fee, accommodation, meals, and drinks. You may need to change the list according to your needs and the season you trek in. As you can see, the list includes many things that you already have. Hence, depending on what you need to buy, your total cost differs. The range of cost is mainly due to the difference between brands and the quality of the product. You can also get most of the things on hire in Kathmandu. The locals of the region make beautiful handmade things which are great as souvenirs or gifts for your family or friends. The price can be anywhere between a few dollars to hundreds of dollars. You may also have to shop for snacks and energy bars to take with you on the trek. These favorite snacks make for great motivation booster at times. Although tipping is not a part of Nepali culture, it has become a norm in the hospitality sector. Your guide, porter, tea house may expect some tip for a job well done. All government taxes and office expenses. First aid kit will be available for normal medical treatment. Sleeping bag and a walking stick if required. Gosaikunda is an amazing trekking experience that is doable, short and cost-effective for everyone. Although near Kathmandu, this trek gives you a true Himalaya trekking experience. If you have any further queries or questions related to Gosaikunda trek cost, feel free to contact us. You can also contact us for any other treks and tours in Nepal. Does charging Camera batteries along the trek cost money? Yes, most places do offer facilities to charge your electronics like phone, camera, laptops with extra costs. For this, you may have to pay US$2-3. Some teahouses even provide the service for free during the off-season. Do I have to tip my guide/porter? Although not compulsory, your guide/porter may expect a tip for service well done. If you are happy with the quality and length of service you receive, you can tip. You can pay whatever amount you think is appropriate.